Special to the DailyDJ Tang. 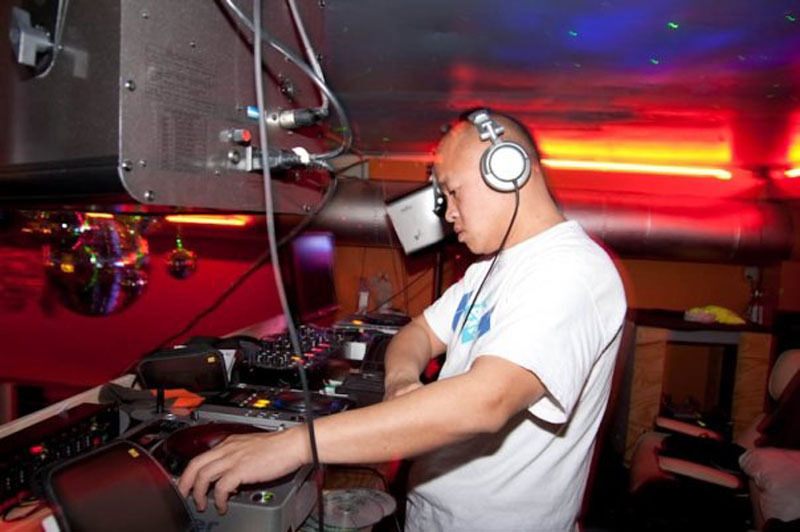 Thang Ky, aka DJ Tang, will be spinning tracks today at Jonny-G’s in Frisco. Thang is bookending the ski season, having also thrown the good vibes to Ullr in December at the same venue. Here’s a bit more about the DJ, how he describes his sound and his musical inspirations.How do you describe your sound?My sound? I like it when I can take a song that is popular or has been played out and relive it in another form, such as a mashup, and make it danceable again. Even songs that guys hate and girls like, such as Beyonce’s “All the Single Ladies,” can be mashed with an ’80s track like Billy Idol’s “Dancing with Myself.” I personally dislike the Beyonce track, but when mashed, it’s much more interesting. Do you have any interesting/unusual stories from shows or tours you’ve played?I played in Memphis at an “invite only” club called The Shadows/Club 152 (Top 100 Club in the nation based on the Las Vegas Nightclub, Bar and Lounge magazine) every weekend for about three years. The sets were insane, and the crowd was standing room only. We started the show at 9 p.m., and the club didn’t shut down until 5 a.m. The club would fill up to maximum capacity sometimes early as 10:30 p.m. It was especially challenging because I couldn’t repeat a song, so my sets had to not only keep the party dancing but, at the same time, be creative. I had to cross genres to keep it new and different than the other clubs in Memphis, Tenn. What accomplishments are you most proud of?My proudest accomplishment was being a resident DJ for the prestigious nightclub The Shadows/Club 152. Being part of the club’s success feels great, and being centrally located on the world famous Beale Street drew a lot of exposure.What is your source of inspiration?My source of inspiration comes from the people I come into contact with every day. People like to share with me their playlist on iTunes, and those songs give me ideas of how to be unique in introducing it to the public in a way that others can identify it either through vocals or the instrumentals.What kind of show can we expect?I never know. I always plan out a set, but it’s always different when I get going, depending on what gets the toes tapping and heads bobbing. I like to catch people off guard and try new things all the time. That way, it doesn’t get boring. Ultimately, I like to make sure that people are having a good time, no matter where I play.What’s new in your life?The newest goal that I have is to be involved with more action sport-related events. It’s a different and larger audience, so I have to find ways to appeal to the masses without being boring. I like the people who share the stage, such as well-known MCs and athletes. I am currently the awards ceremony DJ for USASA Nationals for the second year in a row.